Adventure. Travel. Community Service. Campers. Could all four of these ever be a part of one job? Yes! This is exactly what Zeal Adventure and Travel offers campers and trip leaders! Last summer I spent two weeks on the island of Oahu, Hawaii, leading teenagers from around the world on a summer camp experience focused on adventure, travel, and service. Our days included beach time, hiking along mountain ridgelines, volunteering with local conservation efforts (including Monk Seals and Hawaiian Sea Turtles! ), and taking a two-hour zip-line tour, among other activities. Many people have asked me – “Why work for a teen tour instead of summer camp?” My answer is simple: When the energy of teenagers is channeled in a positive direction, especially through service, I believe teenagers have the power to have a positive and lasting impact on the world. For both trip leaders and campers, our minds and hearts are opened to new experiences and world views, simply by traveling, serving, adventuring, and learning. I have seen many campers’ lives changed through participation in service activities. Additionally, the organizations and people whom we serve are positively impacted. Traveling with teenagers as they adventure and serve is an amazing honor I am incredibly grateful to have been given. Looking for a cool summer job? 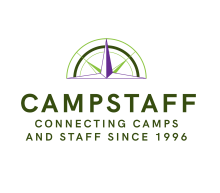 Visit http://www.campstaff.com and find hundreds of summer camps looking for awesome staff! Create a profile for Free and find the perfect job for you. Calling all photographers looking for a camp job!